Warning: file_put_contents(): Only 0 of 1607 bytes written, possibly out of free disk space in Drupal\central_middleware\Logger\MiddlewareFileLogger->write() (line 71 of profiles/custom/central/modules/central_middleware/src/Logger/MiddlewareFileLogger.php). Warning: file_put_contents(): Only 0 of 4621 bytes written, possibly out of free disk space in Drupal\central_middleware\Logger\MiddlewareFileLogger->write() (line 71 of profiles/custom/central/modules/central_middleware/src/Logger/MiddlewareFileLogger.php). 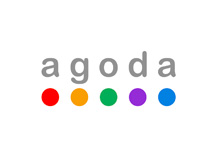 agoda is one of the world’s fastest-growing online travel booking platforms. agoda is committed to delivering the best holidays, at the best prices. With a network of over 1.6 million accommodation properties, including apartments, villas, homes, and hotels backed by over 15 million real traveler reviews, agoda helps other travelers find and explore new experiences in new destinations.